Cannot be Normal Summoned/Set. 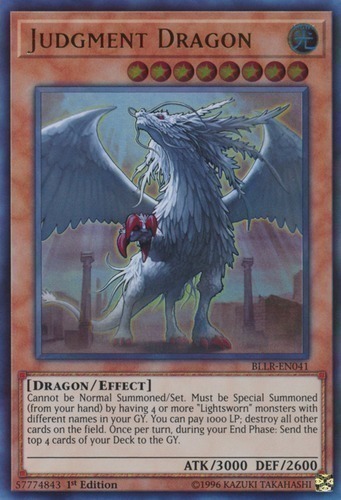 Must be Special Summoned (from your hand) by having 4 or more "Lightsworn" monsters with different names in your GY. You can pay 1000 LP; destroy all other cards on the field. Once per turn, during your End Phase: Send the top 4 cards of your Deck to the GY.